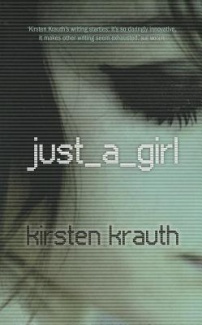 It’s always nice to discover a new author, and as you can see from my review of just_a_girl, debut author Kirsten Krauth has a promising future. 1.I was born … in Port Moresby in Papua New Guinea. I spent the first three years of my life without clothes. 2.When I was a child I wrote… my first short story about a wonderhorse called Snowball. And a long tragedy about how the Sydney Harbour Bridge was sad because she was a dull grey and then became happy again when she was painted bright colours. It was called ‘The Sydney Harbour Peacock’. I still love the Sydney Harbour Bridge and never get tired of riding over it. 3.The person who encouraged/inspired/mentored me to write is/was… my dad, because he is a writer himself; my mother, because she loves to read; my teacher in Year 7 and 8, Gael Spooner, who let me know I was onto something; and my English and English Literature teacher in Year 10 and 11, Mr McKenzie, who challenged me and shared his passion in every class. 4.I write in… a quiet room where I have light and space to experiment. 5.I write when… I can scrounge the time around two little kids, editing a magazine and doing arts reviewing. 6.Research is…. as pleasurable as writing, and I find it hard to stop. I’m never happier than browsing through a library, online, or sneaking around on social media (which I had to do for just_a_girl). 7.I keep my published work/s on … a bookshelf in my office but at the moment I’ve just given all my copies away, so I need to go down to the local to buy my own novel! 8.On the day my first book was published, I … woke up and saw it sitting on the bedside table and looked at it lovingly, hoping it would take off and lead me on some diversions. 9.At the moment, I’m writing … early ideas for my next book, based on contemporary and historical characters, around the town where I live: Castlemaine. 10.When I’m stuck for an idea/word/phrase, I … go to bed and have a sleep. I find most of my answers come at that waking moment, or in the shower first thing in the morning. Once again we see in these answers the importance of having writing mentors close to home: supportive parents and great teachers. How nice it is to see them acknowledged here :). Kirsten Krauth’s first novel, just_a_girl, was published in 2013 by UWA Press and is available from Australian bookstores, or as an ebook – you can find the links from her blog Wild Colonial Girl – where she runs a series on ‘Writing Mothers’, along with a monthly club for debut novelists called Friday Night Fictions. 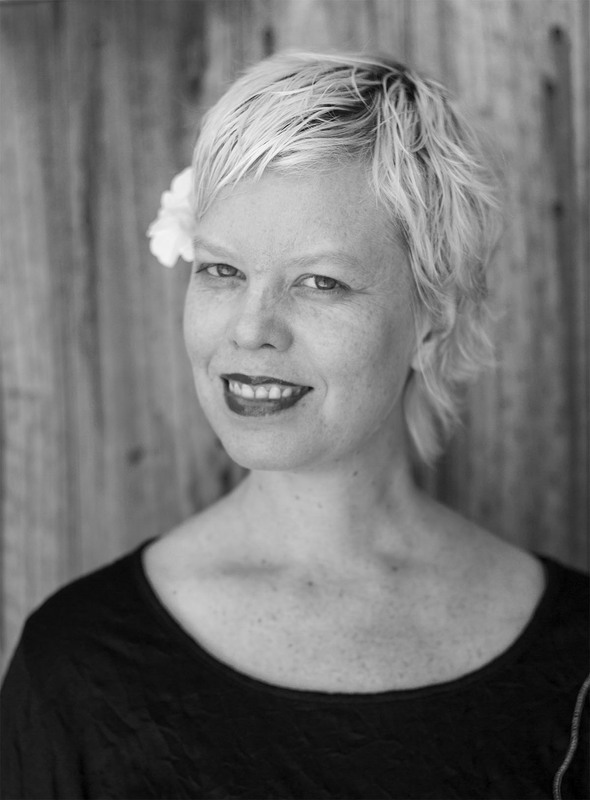 Kirsten is also editor of the NSW Writers’ Centre magazine, Newswrite, regional reporter for ABC Arts Online, and has written on literature and film for RealTime, Good Weekend, Sydney Morning Herald, The Australian, Island Magazine, Empire, Metro Screen and Screen Education. A very busy lady, and she has two small children as well! You can also buy Kirsten’s book from local Aussie online bookseller Fishpond: Just-A-Girl. Thanks for this review ANZ Lit lovers! I added this to my “to read” shelf straight away. Excellent! It’s a memorable book, and an important one too. Great to read more about Kirsten. I will be reviewing just_a_girl myself soon and I am looking forward to it. I look forward to seeing that, Karenlee, you as an author yourself will admire the narrative voices especially, I bet. Enjoyed this interview and will look up Kirsten’s blog. I also have a very soft spot for the Sydney Harbour Bridge. Nice one! She sounds like a very committed writer who loves her craft.